John Rourke has been a professional freelance creative for over 20 years, specialising in film, photography and design and in 2015 became an official Fujifilm X Photographer. He now tests cameras, lenses and other Fuji gear and writes blogs for Fujifilm and other Fuji based publications. For John, art and photography is a complete way of life. He finds intimacy in detail, intensity in wide-open space, and beauty in the everyday. With his “next shot must be better than the last” discipline, he is constantly searching for inspiration, influences and new experiences, and never leaves home without at least one camera, a sketchbook and a pocket full of pens! Traditionally trained in art and photographic methods, and with extensive experience in technical engineering, graphic design, illustration, print and advertising; his work often incorporates the aspects and influences from John’s previous industry background. Thereby developing a very distinctive and unique approach. Inspired by the works of David Bailey, Ansel Adams, Vermeer, Van Gogh, Turner, and Ridley Scott, and driven by a passion for travel and adventure, John sees the world in a cinematic wide screen, double page view. He often experiments with different techniques and formats; mixing media, discarding boundaries, and fully embracing the contemporary digital process. His knowledge, insight and skill all come together to give him an understanding of the environment, the movement, and dynamics of a subject. This results in the creation of immersive images, which compliment the end product and its message, across multiple genres. John can often be found exploring urban cityscapes looking for backdrops to high fashion model editorials or automotive shoots, or wading chest deep in open water, capturing the acrobatics of kite surfers, or the determination of wild water endurance swimmers. You might find him hanging from a helicopter high above the racetrack at Le Mans or strapped to the mast of a yacht in the Atlantic. He loves to take long treks and climb mountains with his dog Bria otherwise known as THE BEAST, battling the elements and photographing epic landscapes, or just spending time working on his personal street photography project, ‘Motion’. 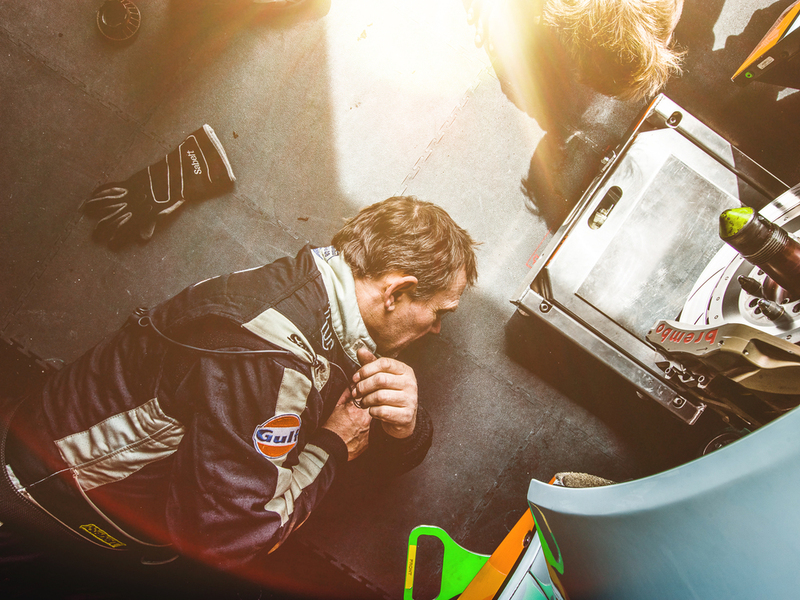 Currently, he is mostly to be found on various race tracks and pit lanes around the world, where he is traveling as the Director of Photographer with Adrenal Media. 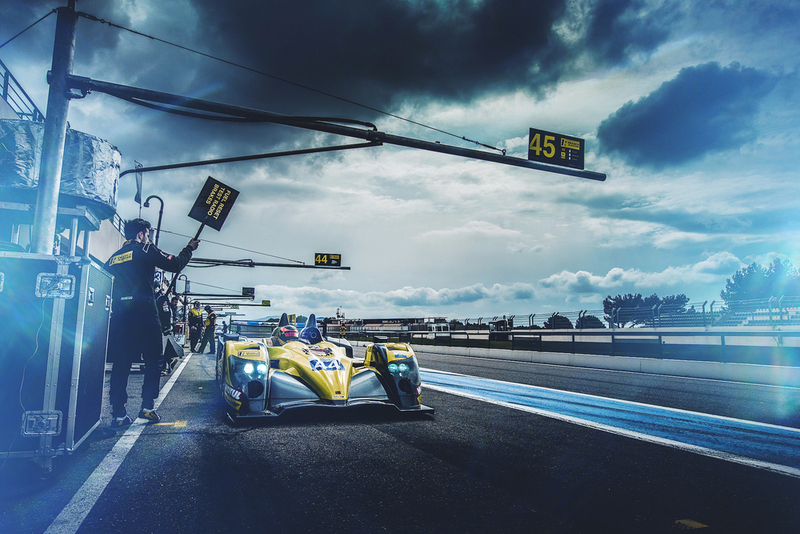 Adrenal Media are the official Photo agency for the FIA World Endurance Championships and European Le Mans Series; which includes the world famous Le Mans 24hr Race and the new Michelin GT Le Mans Series. John is committed to creating sensory images that communicate the atmosphere, texture, emotion and energy of a single moment through the exploration of composition, light, time and motion. Each image tells a story in a reportage, documentary style, and forms not only a visual narrative capturing a slice of time, but also an individually styled fine art piece.